The cemetery is best reached from the village of Lisbon which lies on US Rt 302. 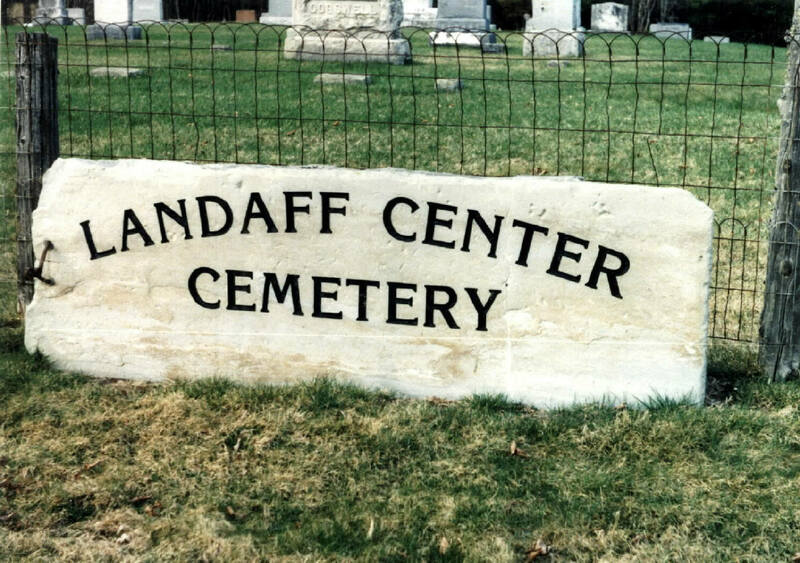 The cemetery is 3-1/2 miles east of the RR station on Central St and 525 ft above it at an elevation of 1125 ft. The Oldest Part, on the south side of the town road, consists of sections A, B,& C which contain 684 inscriptions. There are 730 stones: 589 gravestones and 140 footstones. The oldest stone is a rough home-shaped fieldstone with a bulge top, cross-bones and "S. P." were scratched in; the earliest inscription is Lydia Andrus (1762a - Jan 17 1785); the earliest birth recorded is Susannah Brownson (Aug 03 1699 - June 12 1802); and the most recent stone is Elsie C. Merrill (1903 - 1997). The only burials in this part since 1948 are immediate family members of those already interred. Section A is to the right of the main gate, B is in back of the path around C, which is to the left of the main gate. Footstones were also numbered for ease in counting the stones along the rows to the one sought. The predominant material is soapstone, and white marble, secondly. A very few are fieldstone, slate, or granite. Current burials are taking place on the north side of the town road - which is divided into 5 sections by the drives. They are (left to right) D-G, section H is behind the rear section of the drive. small bronze "stone" behind concrete one for her and her husband reads: "Diancy Bowles, / wife of / K. W. Noyes / Died March 2, 1903, / Age 69 Years, 21 Days"